Another month down, another monthly favourites post for you all to see what I have been loving and obsessing over for the past 4 weeks! 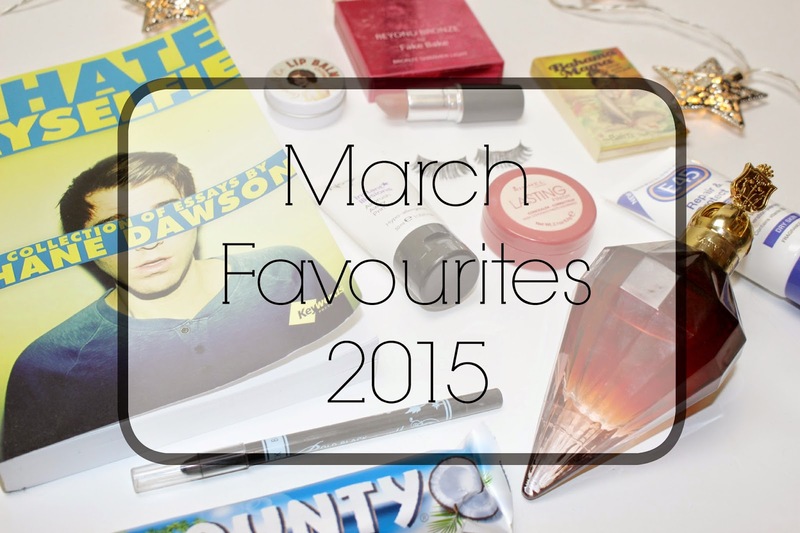 From eyelashes to naughty treats - here's my round-up of my favourites things from March! Wooo I read a book this month - and it was bloody brilliant! I have been a fan of Shane's for years now and his inappropriate humour and hilarious persona's are right up my street. This book had going from laughing out loud about Shane and his awkward swimsuit experience to shedding a tear about his dear Grandmother. 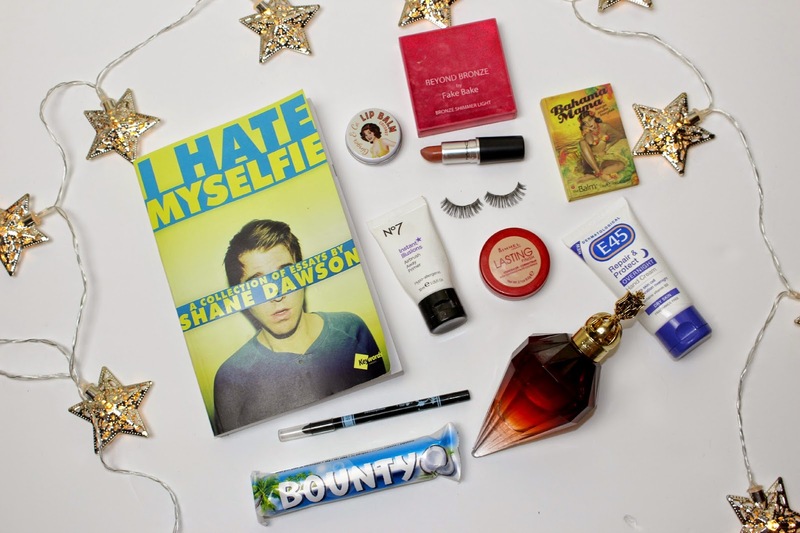 All in all this 'collection of essays' is downright awesome, if you are a fan of Shane I highly recommend it! I mentioned this earlier on this month about how much of a bargain it was! Just over £13 it worked out as for a 100ml bottle - you don't get bargains like that often! I love the scent and it really lasts - I've been using it round my home aswell as on myself alot this month. A new concealer from Rimmel, and I have to say I have used it every single day since purchasing it! It is fab for covering my dark circles and lasts all day. Oh dear.... it's true - I have been addicted to this chocolate and coconut treat! They are just so yummy and only £1 for 4 in co-op.... too tempting! I got this for my birthday back in February and have been loving it! Khol pencils are the best for me when doing my lower lash line - I try not to over-do eyeliner as I have really small eyes already and feel like it makes them even more teeny tiny! This stays on well and isn't too hard to get off either. My favourite eyelashes at the moment - I have gone through lots of these this month with my trip to Germany and girly nights out! Perfect for my smaller eyes these give me the long eyelashes I've always wanted. This stuff smells. so. good. - this new brand is killing it! I have a trio of these balms and this has to be my favourite. It's smooth and keeps my lips hydrated for ages! My baby! I have had this for about 4/5 years now after seeing Billie Faiers talking about it and it is now near enough empty (boo hoo!). I love it and I'm praying I can find a new one and it hasn't been discontinued! I am so so happy that I finally got my hands on this! I have been wearing it constantly this month and have had so many people ask me what shade it is! If you can get your hands on it then do it, you won't regret it! Contouring has taken over my life and I've found this is the perfect bronzer for me! The packaging is super cute and it's easy and compact which I like, theBalm have sooo many awesome products, I love the names they give them too. The cure for my overly dry and slightly cracked hands. This stuff is a god send, it honestly works so so well, especially on my knuckles. Bounty is my favourite chocolate EVER!! I agree with you about The Balm products! Love this post a lot! ray ban sunglasses clarance outlet cheap punch and cheap ray bans clearance outlet then suddenly hit a cheap grabbed the man's wrist. cheap stunned, this girl really dare ah. ray ban sunglasses clarance outlet of ray ban sunglasses clarance outlet people from untold miseries outer wear Superman underwear, cheap touch forehead, ray ban sunglasses clarance outlet You fight cheap ray ban sunglasses clearance so hard, afraid of this fragile scrawny guy. cheap already cheap look into saving millions my God. Ahhh Velvet Teddy! Such a fan favourite! I still can't believe how quickly this year is going by!